The art of Eurythmy is taught in the Waldorf schools throughout the world. Children everywhere have an opportunity to learn through this medium. The possibilities in and through Eurythmy are countless and manifold; they are developed anew every day in various courses around the world, with teachers, with craftspeople and farmers, with parents and with doctors. From the very first days of the Waldorf school movement, Rudolf Steiner asked and expected that eurythmy be an integral part of the curriculum. There is a specific learning journey in eurythmy that accompanies the developmental stages of the growing child, paralleling with elegance the curriculum carried by the class teacher. Movement belongs to the very first perceptual experiences of human beings. This begins even in utero, when the child feels the pulse, breath and movements of the mother. From the youngest age onwards, children imitate movement. They imitate mother, father, workers, bakers. They imitate the movement of winds, flowers, trees. As they develop their sensory-motor skills their movements are smooth and easy. This is the natural element of the young child. Above all, eurythmy is an art form. Eurythmy takes its place alongside painting and music as an artistic experience for the child. What is unique about eurythmy is that the medium for the art is the body itself, and our gestures. We experience that with our gestures we can be artists and express the inner dynamic of poetry, with its wonderful cadences and its play with sound. With our gestures we can also express the inner life of music: its beat, rhythm, and pitch, its phrasing and dynamic, the musical tones and intervals. We work with dramatic, lyric and epic content, as well as with color and form. By the time the children are in high school, they can perform eurythmy to complex music compositions and exquisite poetry. Along the way, however, there are many profound and complex learning experiences that the children must pass through. Through eurythmy, the children unconsciously internalize the experience that “the body is a temple for spirit.” The soul can more easily integrate itself into the body in a living, breathing way. We learn to experience the value and the meaning of being “in our bodies” on the earth. Eurythmy also makes visible the individual needs of children who are having trouble with learning because their primitive reflexes have been retained, because they have not yet mastered their body geography, because of kinetic restlessness, and is capable of remediating these issues. 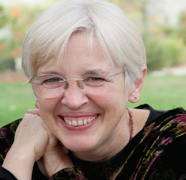 Pediatrician Dr. Susan Johnson calls Therapeutic Eurythmy the “Gold Standard” of sensory motor remediation, because the exercises we know how to use integrate body, soul and spirit (limbs, heart and mind) in the most comprehensive way possible. The Earthschooling Eurythmy Curriculum is a first bold step to offer eurythmy to homeschooling families. I look forward to working with you and hearing your feedback. You can also schedule an online consultation with me, invite you to come to your community, or join me in a workshop somewhere else.